30 years on from the release of The Final Countdown, Europe are bigger and better than they have ever been. Following on from the success of the 2015 release War of Kings and the 30th anniversary recording at the Roundhouse in London, the new LP Walk the Earth is due for release on the 20th October 2017. Opening up with a barnstormer of a title track you know you are in for an exceptional ride. Tempest’s vocals are almost Gillan-esque in their delivery and this should fit nicely with their upcoming tour with the mighty Deep Purple. Norum’s guitar work is hot and heavy and his penchant for intricate guitar lines is clearly in evidence here on this record. For some this LP may take some listening to in order to really appreciate the production and songwriting, however the more you listen the more you get from the LP and as such this is what makes the recording such a winner. Sure, there are the catchy melodic tunes on here such as “Election Day” and the out and out riff driven powerhouse tracks such as “Haze”, but somehow there is a lot more to this LP than this. At times it’s dark, moody and melancholic. This is a recording that makes you listen, and then listen again. This is what makes it such a good recording. “We were in the studio a few days into recording and Dave (Cobb, our producer) comes in wearing this very cool T-Shirt with one of Mike’s designs on it. Immediately we knew we had to check Mike’s other work and have him come up with an exclusive design for us based on the vibe of the album. 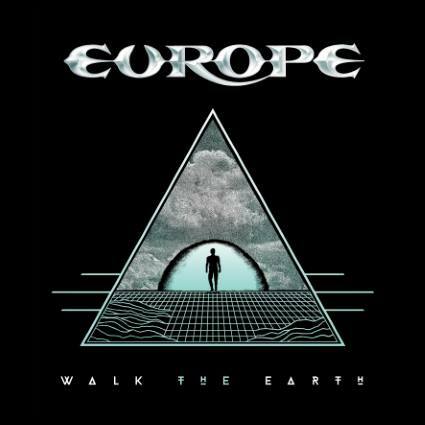 We are very proud to have his amazing artwork as the Walk the Earth album cover!’– Joey Tempest on the appointment of Mike Sportes to do the cover. Europe really are at the top of their game here and long may it continue, if this album is anything to go by we are in for a real treat as the band continues to develop. Europe tour with Deep Purple in late 2017.